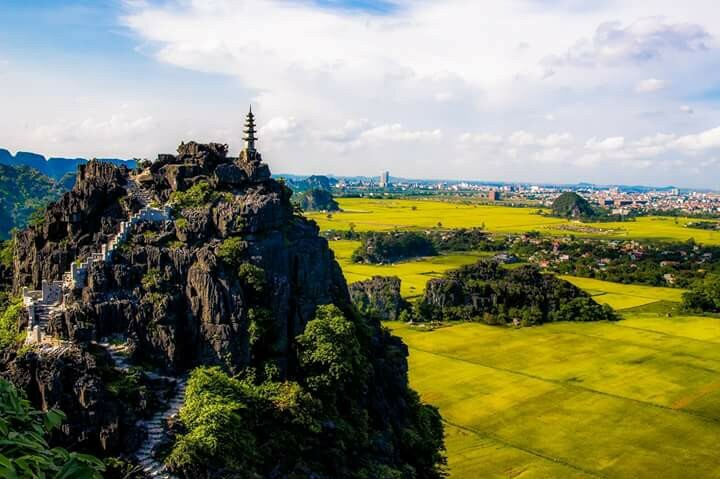 Ninh Binh was the first ancient capital city of Vietnam. Nowdays, it attracts a huge number of domestic and foreign tourists. 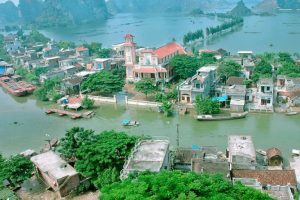 It is very famous for not only the festival of Bai Dinh Pagoda but also other popular beauty spots. 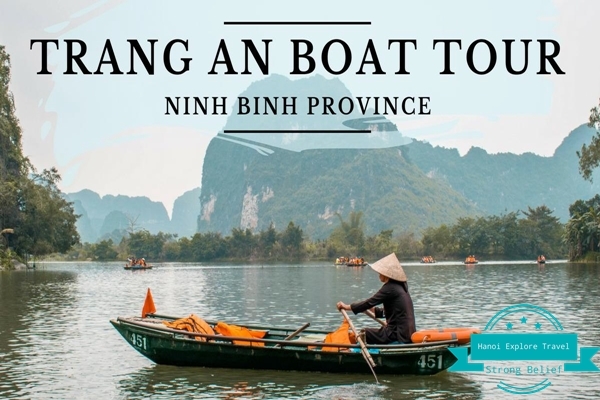 If you do not know What to see in this wonderful land, we would like to suggest some following ideal places for Ninh Binh Things To See. 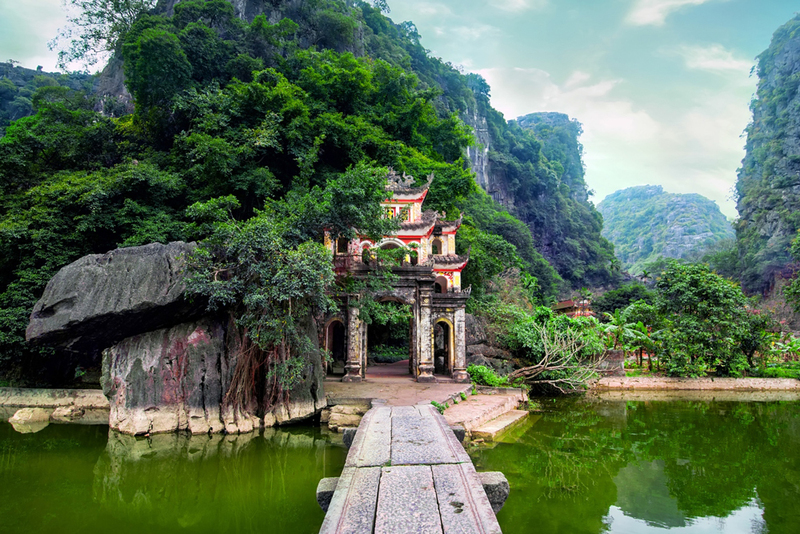 Trang An Grottoes, a tourist attraction, is located in Ninh Binh province. It is recognized by UNESCO as the world’s natural and cultural heritage. 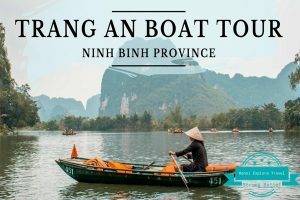 When you visit Trang An, you will have the chance to see imposing mountains of the ancient capital, visit Tam Coc – Bich Dong and go to Bai Dinh Pagoda, the land of sacredness. 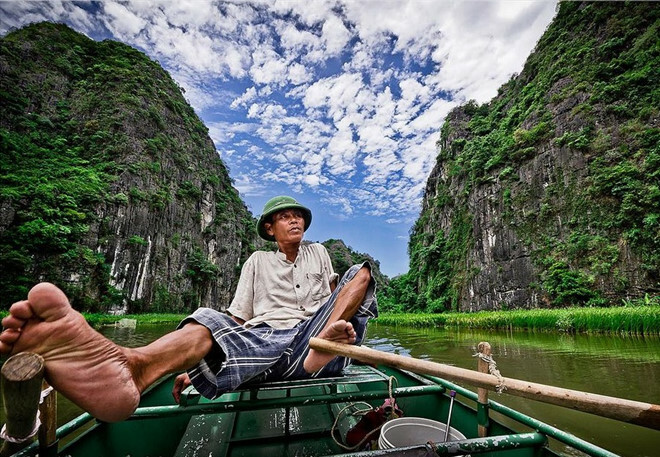 Trang An has become the most fairyland land in the world in association with forests, streams, rivers, and marsh. It is harmonious beauty of this land that arises tourists’ interest to come here. Bai Dinh Pagoda belongs to Trang An Ecotourism Complex. It represents spirituality of inhabitants here. 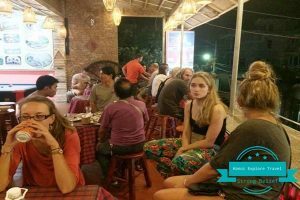 With sophisticated, monumental and splendid architecture and many records in Southeast Asia and Asia which have been set, Trang An is the border of paradise and living life. It is one of a kind in Vietnam and is established on Bai Dinh land where it is regarded as a very sacred and major pagoda of Vietnamese. 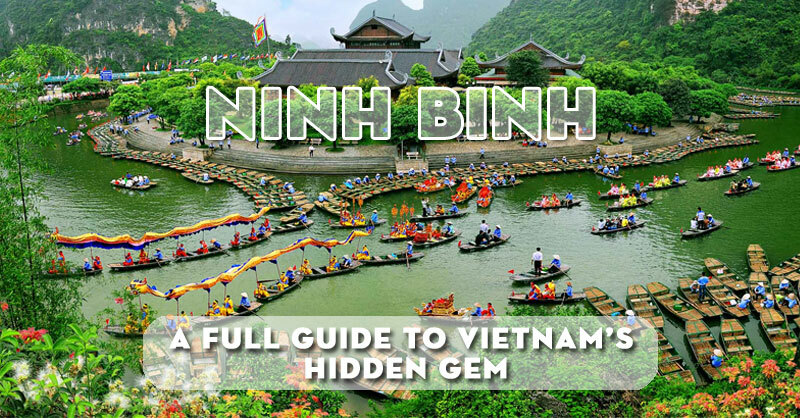 The Bai Dinh pagoda has become a sparkling pearl for thousands of years of Vietnam. 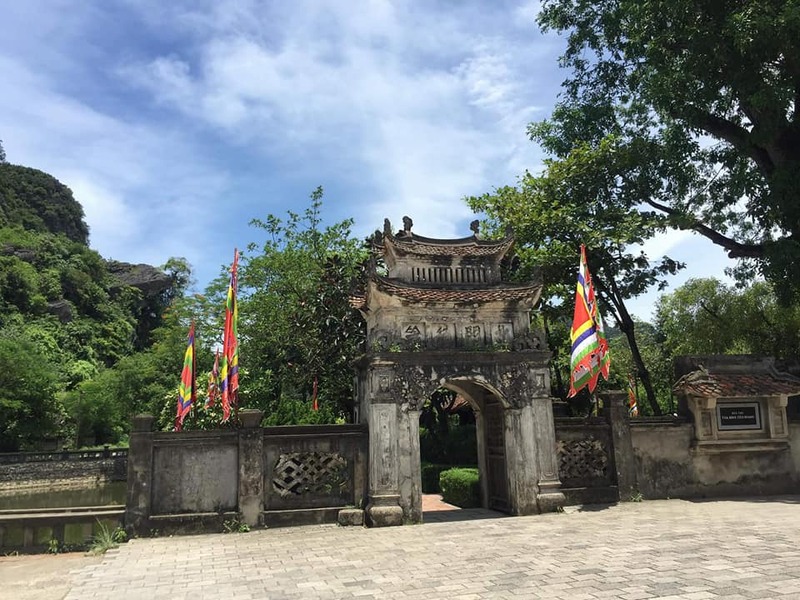 Not only does it own unique and original architecture but also it has traces of the most respected Kings such as: Thanh Nguyen, Cao Son, etc. 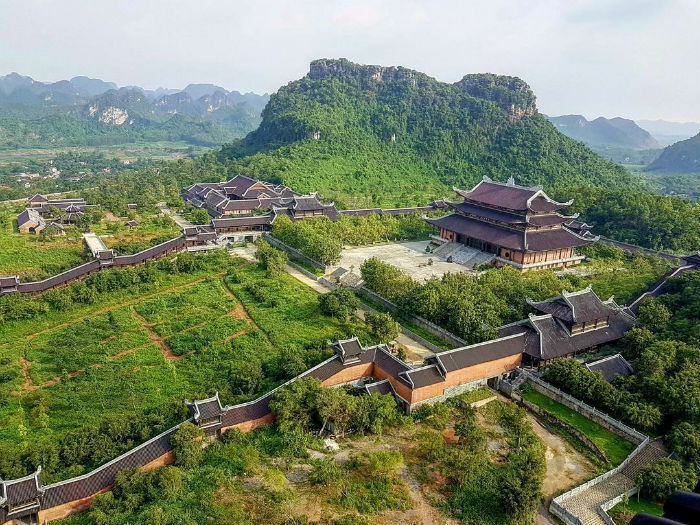 Hoa Lu Ancient Capital was the first capital of Vietnam and Dinh Tien Hoang Kinh ruled in Truong Yen commune, Hoa Lu district, Ninh Binh province where it included all talents for contributing to Vietnam. 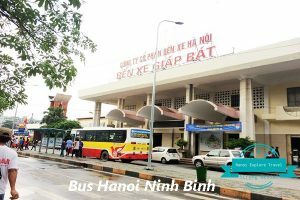 In 1010, Ly King left the capital to Imperial Citadel Thang Long but Hoa Lu has been considered as a historic site of Vietnam. With the square of 14 square kilometers, Hoa Lu Ancient Capital possesses sophisticated architecture and skillful carvings. When you come here, you will be told historical stories, and there are many magnificent places and vestiges that have been existing for thousands of years for you to see. 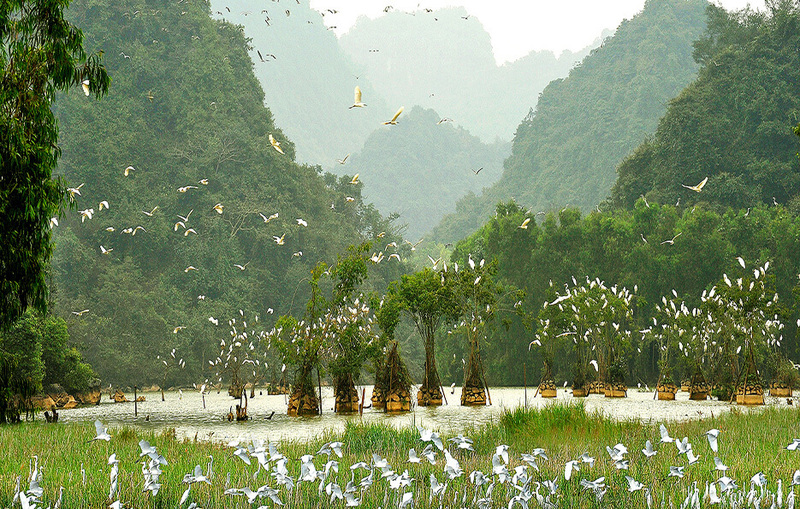 Tam Coc – Bich Dong is 150 square kilometers in area. 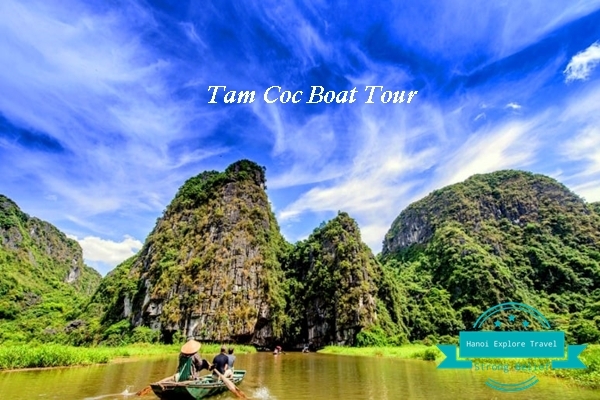 Visiting this place, you are going to pass through 3 routes: Tam Coc – Den Thai Vi – Dong Thien Huong, Bich Dong – Xuyen Thuy Dong, Dong Tien – Linh Coc Pagoda. Currently, although all of these spots have been separated, tourists vist them at the same time. Tam Coc has three caves consisting of Ca, Hai and Ba Caves with distinguished beauty but they are all formed by the Ngo Dong river flowing through Bich Dong, a cave has sapphire color. 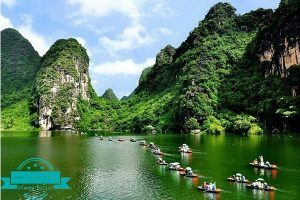 The fact that Tam Coc – Bich Dong has many caves like Mua, Bich Dong, But, Thien Ha caves, etc has created the most unsual and rare landscape which is called “Ha Long Bay on on land”. Coming to Hang Mua, you are going to have an opportunity to test your resistance by climbing up a moutain through 486 stone stairs. 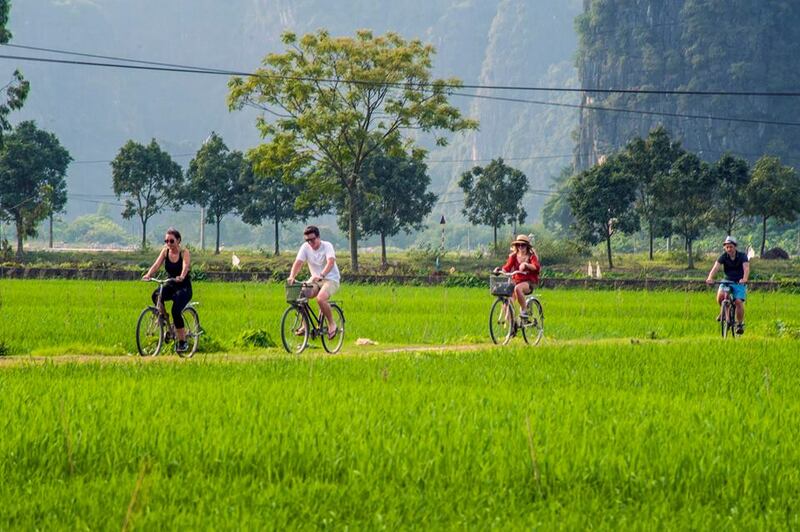 From the top of the moutain, we can admire the panoramic beauty of Tam Coc area with dark green paddy fields. 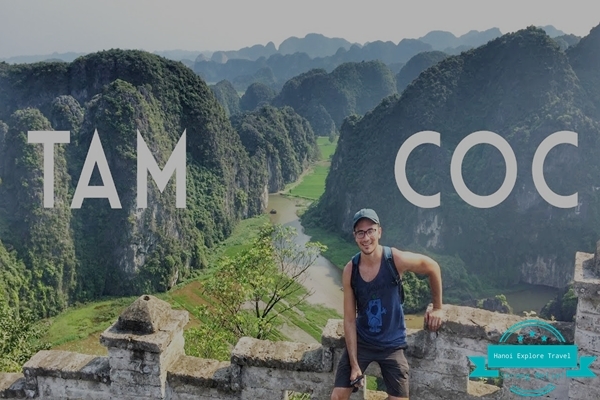 It is named as “the muse of Tam Coc” or “ Great Wall of Vietnam” with spectacular views of mountain tops, ripening rice fields or sparkling towers on the top of mountains. Cuc Phuong National Park, located in Nho Quan District, Ninh Binh province, is a famous ecotourism destination. 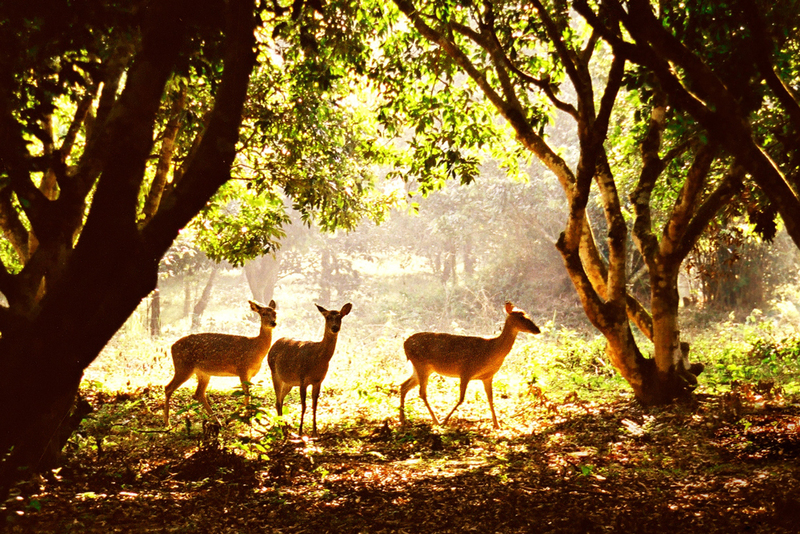 Being the center of renowned rare animals like: bears, wild boars, leopards,etc..and plants like parashrea stellata, green trees, pedocarpus fleurgi, all of this creats a diversed ecosystem, Cuc Phuong National Park is also the homeland of hundreds of kinds of birds and butterflies. Early days of the summer is a great time for the youth to take stunning photographs. 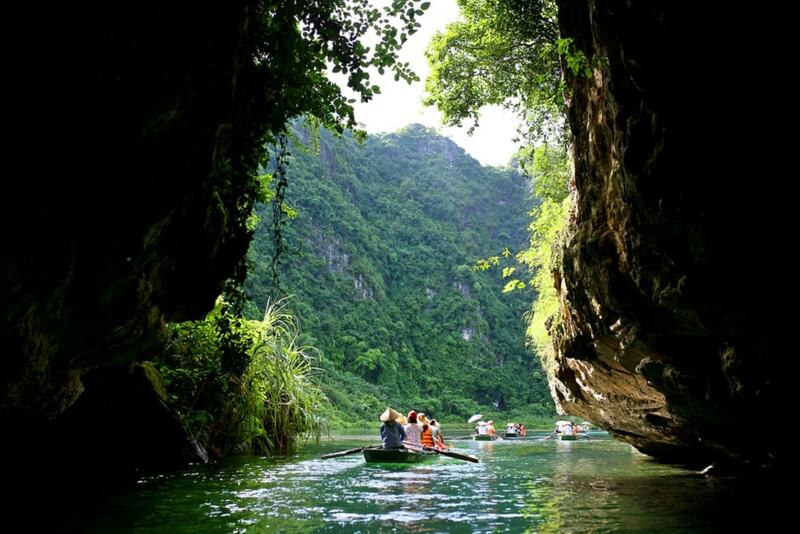 The best time for tourists to vist Cuc Phuong National Part is on from December to Aprial annually. Besides visiting vegetation, you will also take part resort, campfire, biking and trekking activities, etc. 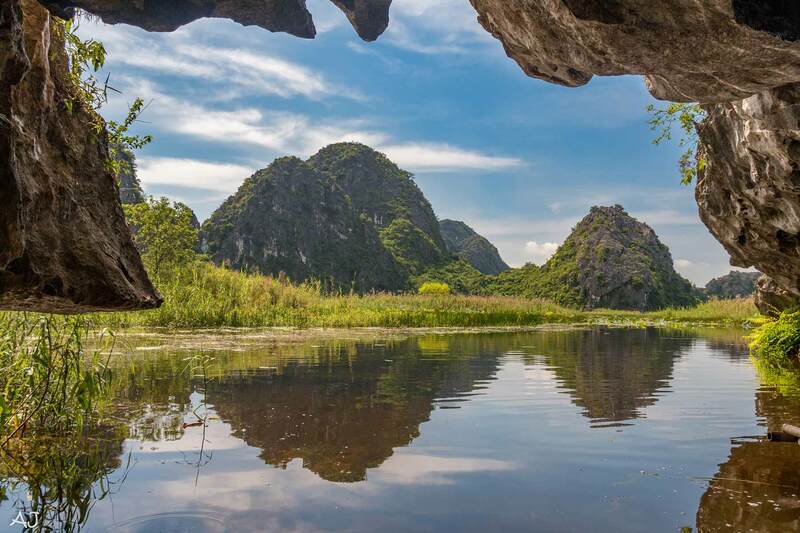 Van Long Nature Reserve belongs to Gia Van commune, Gia Vien District, Ninh Binh province. 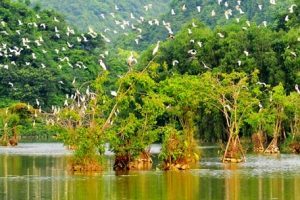 This place was formed from damming a dyke for preventing flood and is known as a waterlogged nature reserve of the north of Vietnam. 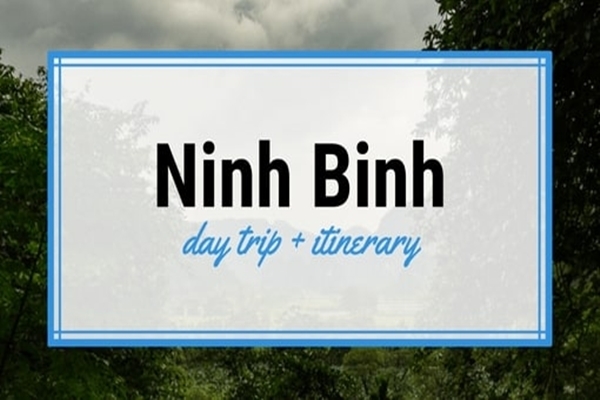 What’s your favorite place in Ninh Binh? 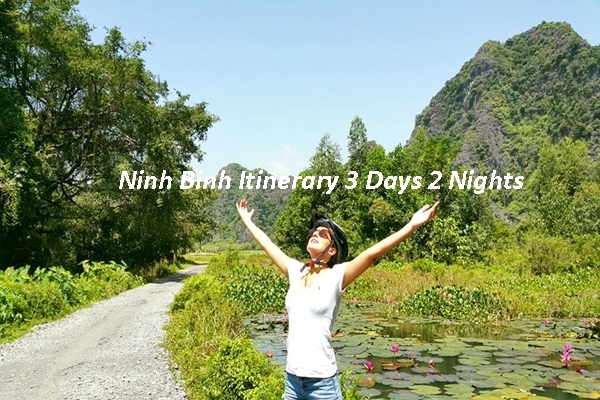 What are you looking for the most interesting place to see in Ninh Binh Province?